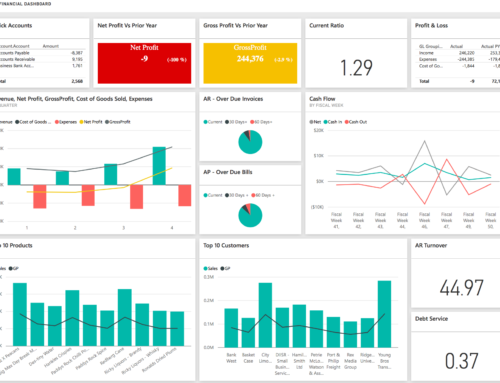 Without clarity on the elements which affect profitability you lack the tools needed to drive your business further. 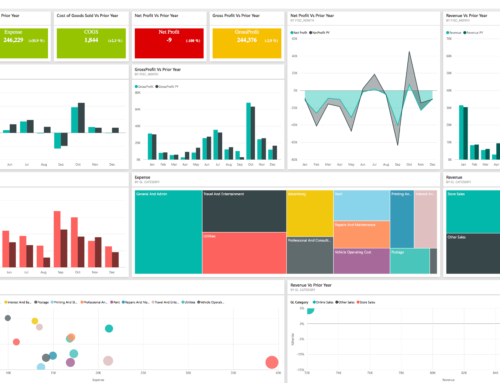 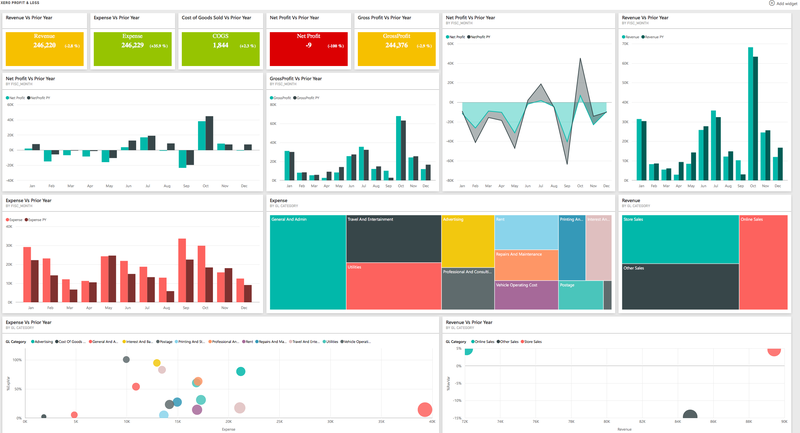 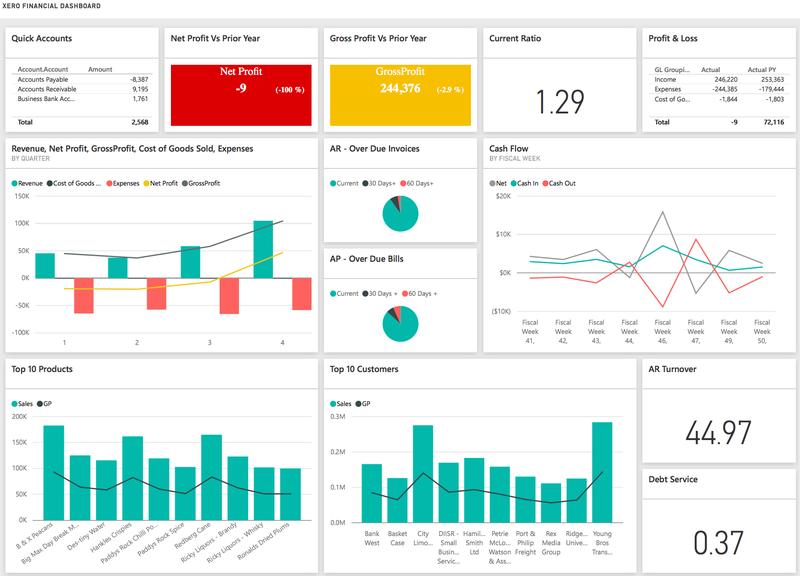 This Power BI Profit and Loss Dashboard and report set offers simply, yet insightful, analysis of financial performance across various dimensions. 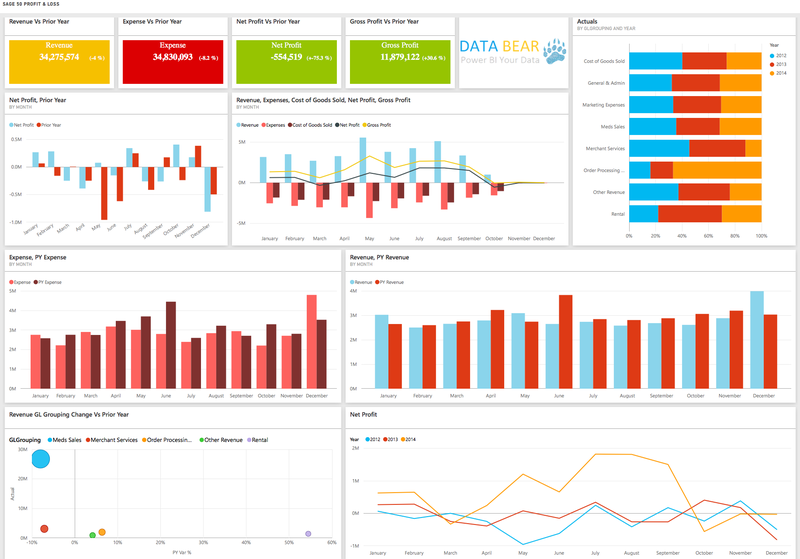 See trends versus the previous year and drill down into under performing months. 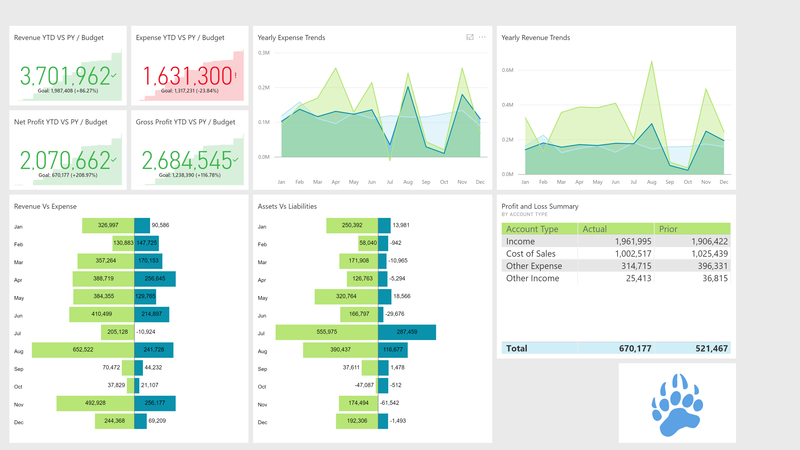 Keep an eye on your top 10 accounts and see how these have changes over time. 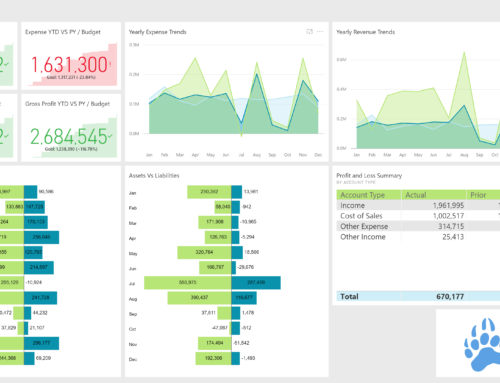 Like Excel, Power BI is a great tool for viewing Profit and Loss data in tabular form, with the added benefit of full interactivity across visuals.